After completing four marvellous dives and watching the sun set with a cup of tea in hand, it was time to make a quick change of clothes before dinner. 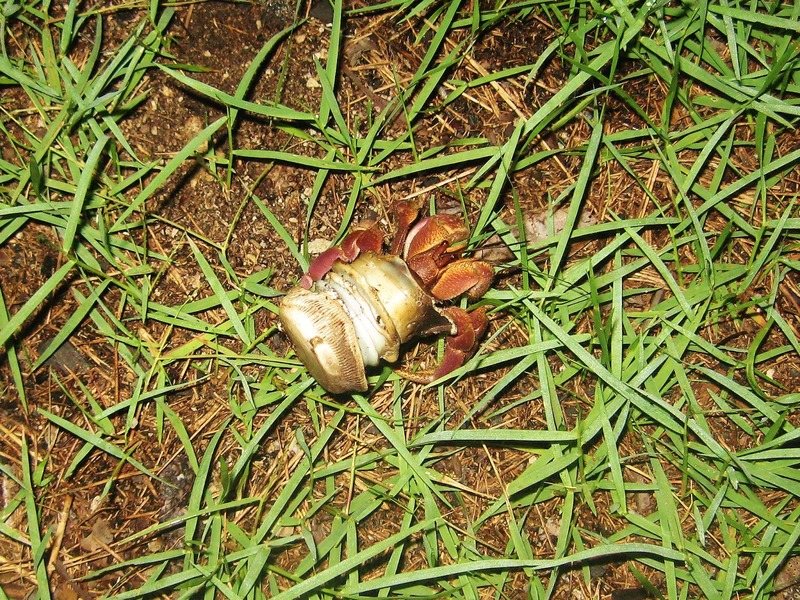 While near my tent sanctuary I caught a glimpse of coconut crab walking proudly across the grass. Instantly I noticed this crab's unique shell and knew it must be photographed. I then let him on his way as I was lured back towards the resort by the smell of Malaysian cooking. At the dinner table I showed the infamous Steve Oakley the pictured of the crab I named MacGyver. Steve's excitement surprised me, as it seems hard to surprise a man with a such a large knowledge of marine life. But, it just so happens coconut crabs were thought to be absent from the island of Pom Pom, and these two pictures proved that theory incorrect. The lesson here is to always keep your eyes open, as every moment in nature has potential to be a discovery. 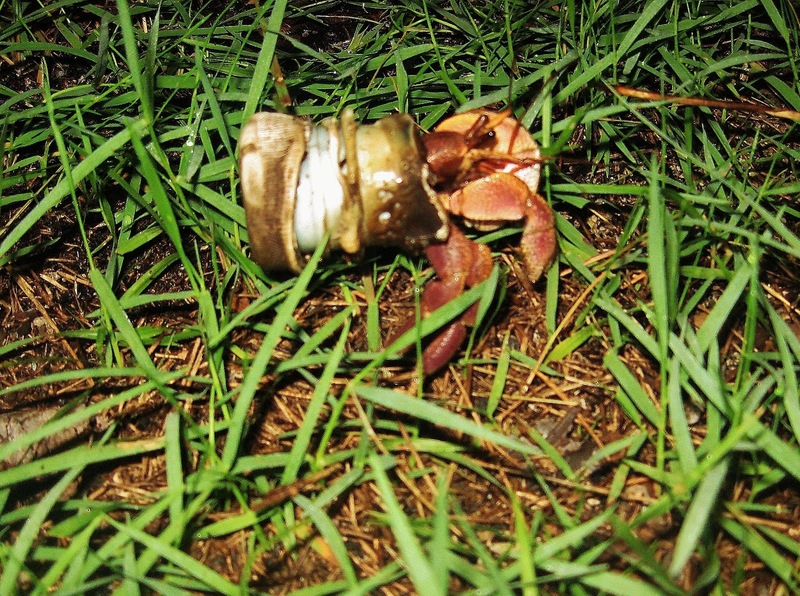 The next task is to strategically place small bits of food around the island in hopes of attracting more coconut crabs for surveying and tracking. Results to follow!